Our first introduction to the Toydarian species was Watto in Episode I: The Phantom Menace. He was shown to be a cruel slave owner, a slimy businessman (or would that be businessdarian? I don’t know) and gambling addict. We get to meet more Toydarians in the animated television show Star Wars: The Clone Wars and they’re shown to be everything Watto is not. Just goes to show you shouldn’t judge the entire race on one bad egg. Except Xenomorphs. Legends information maybe used to fill in some gaps, but only what could still possibly be true in Canon. Toydarians were from the planet Toydaria, which was located in Hutt Space in the Mid Rim. The planet was covered in foggy forests and swamps. 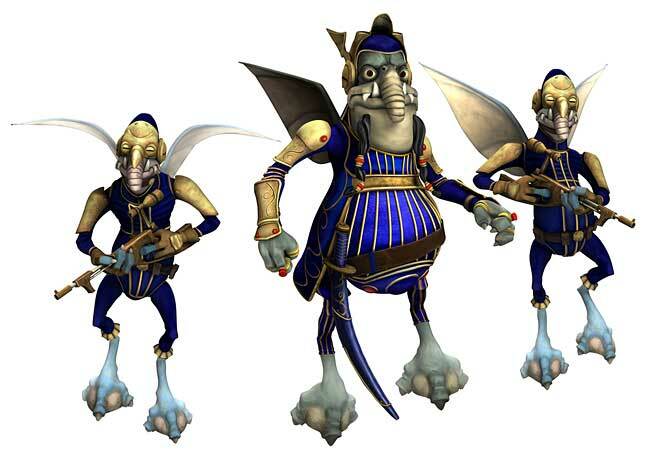 The Toydarian people who lived there were fly like with wings, a snout and webbed feet. Their large guts gave them the appearance that they should never be able to fly, but their skin was known to be very absorbent of natural gases in the air which they could store in their bellies keeping them deceptively buoyant. This allowed them to hover in the air above the muddy surface of the their planet building muck nests to live in. Their society was organised into clans and noble families would display their status with clan bells such as the one seen in Watto’s shop. Toydaria was ruled by a Monarchy during the Clone Wars. King Katuunko represented his people during that time and he upheld compassion and honesty as sacred Toydarian rights. The tenants of their morality and even their constitution demanded that they helped beings in need. All of these values are polar opposites of the kinds of virtues Watto held. The Clone Wars Episode: Supply Lines, best illustrates the true nature of the Toydarian people. They were initially neutral during the Clone Wars having no prior allegiance with the Republic or the Separatists but when war came to the nearby planet Ryloth (home of the Twi’lek people) King Katuunko was asked by Senator Bail Organa and Representative Binks to help provide relief to the suffering Twi’leks. While King Katuunko did not wish to jeopardise their planets neutrality, the King decided that doing nothing while others suffered was an act of evil. His actions led Toydaria and his people to officially side with the Republic. Later during the war, around 21 BBY, Katuunko was sought out by Count Dooku, who wanted to force the Toydarian monarch to join the Separatist Alliance through the use of his new apprentice, Savage Opress. However, Opress accidentally killed the king following an engagement with Jedi Master Obi-Wan Kenobi and Jedi Knight Anakin Skywalker via force choke. The Toydarian culture was also one of ritual, using ceremonial blades to pledge their fealty. Their architecture reflected their biology with floating tables and chairs, high ceilings and a tall audience chamber for the King, where outsiders could stand on floating platforms to address the Toydarian ruler. As as we fans know, Toydarians were not regularly force sensitive. In fact Watto claimed that their species were resistant to the force after Qui Gon Jinn attempted to mind trick the junk dealer. And that is more or less everything we know about the little flying creatures known as Toydarians in Canon at this current time. As more content is created for Canon, perhaps we’ll see come across this species again. It has been rumoured that next year’s The Mandalorian which will be written and produced by Jon Favreau will take place on Tatooine, so perhaps we might see an aged Watto still flying around.